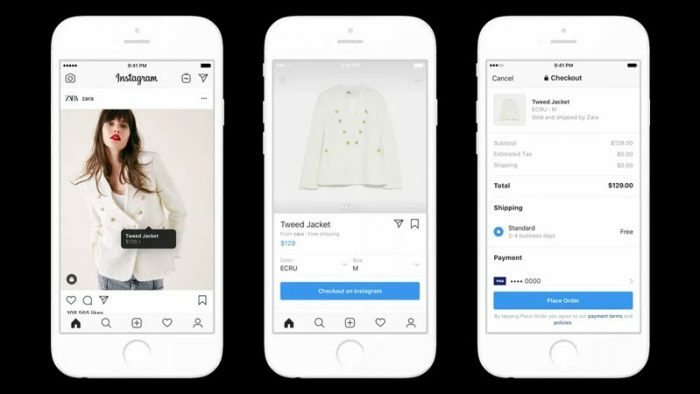 Instagram has updated its in-app Shopping feature by adding a checkout option in the app itself. Previously during checkout, you’d be redirected to the seller’s website to complete the payment and delivery requirements. Michael Kors, H&M, Nike, Adidas, Dior, Zara, MAC Cosmetics, Oscar de la Renta, Prada, Uniqlo, Warby Parker, and more than 20 brands are going to use checkout. Products from brands using in-app checkout will have a “Chekout on Instagram” button below them. Once tapped, you can provide your e-mail address to the seller, enter delivery information & payment method to complete your order and place it. The updated feature will provide a smoother experience than the previous times, where you would have to use the retailer’s website to checkout, where there’s also a tendency users would chuck their cart. Instagram previously updated Shopping feature by adding features like: Save to your new Shopping collection, Shop on business profiles and Shopping in Feed videos. They also had plans of launching a stand-alone shopping app, which may be in the pipeline.